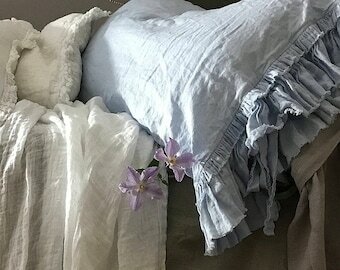 Luxury linen pillow case from my 'Madeleine' collection. Made from a soft, light weight 100% linen in off white or natural gray color. This fabric is light and velvety to the touch. Pillow cases have a ruffle with a pure linen lace and fastening ties. Lovely French style look!! 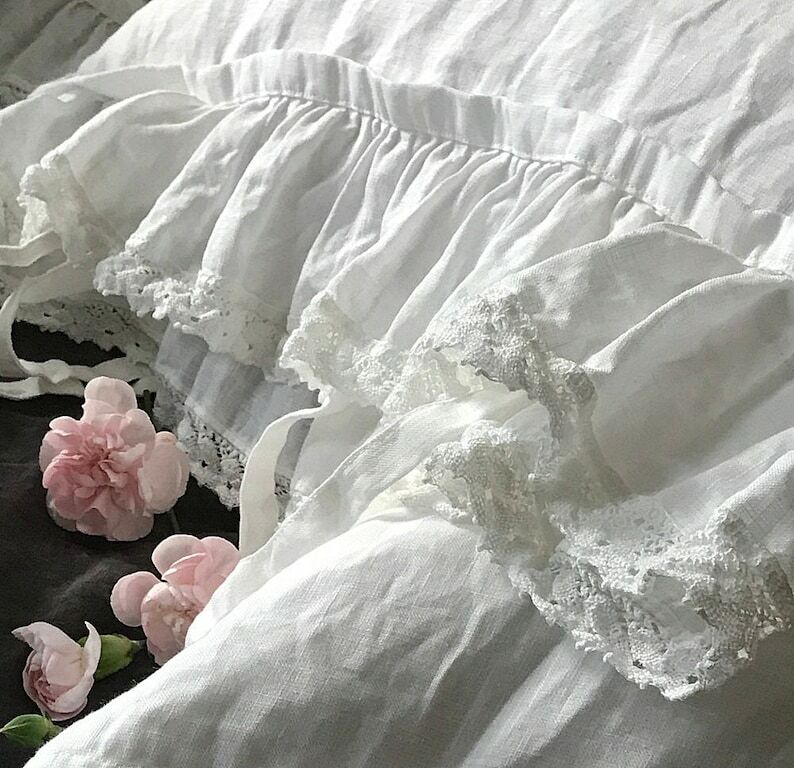 Description: pre washed light off white or natural gray 100% linen fabric, ruffles with pure linen lace finish on one side - off white lace for off white pillowcase and natural gray lace for natural pillowcase; decorative fastening ties. Really nice pillow cases. Well made. I would order again. Thank you.